LaserSoft Imaging (LSI) has embedded their 25 years of experience into the new version of scanner software SilverFast. Coupling innovative ideas with the utilization of current software technology, LSI has now released the best scanning software: SilverFast 8. 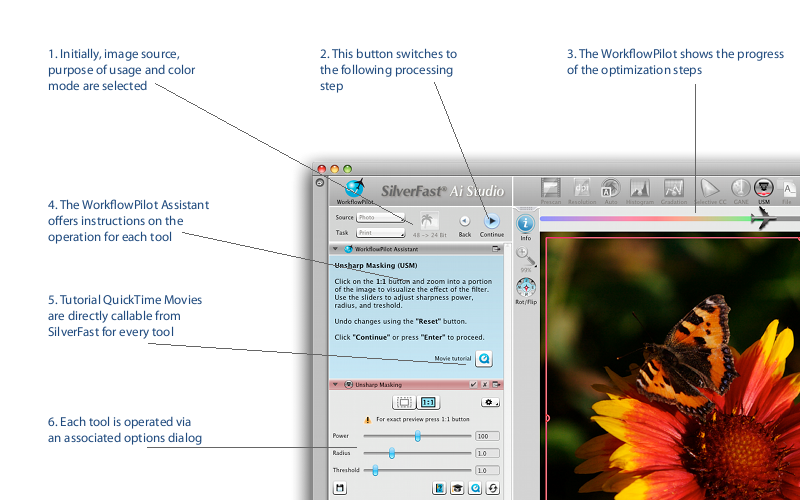 There are many reasons to obtain the new SilverFast 8 – a software which makes it easy to perfectly digitize images. The applications are nearly endless. The new patent pending WorkflowPilot® is a novelty and the core of the new concept, allowing perfect scans from any original. As a kind of virtual assistant, the WorkflowPilot® guides the user through the correct order of steps necessary to obtain best results. The unique SilverFast Preview Concept allows for instant quality control of each adapted adjustment. The new and optimized user interface enables any user to quickly find all necessary tools. The unique iSRD® automatically and professionally removes dust and scratches by using the scanner’s infrared channel. In combination with the SRD® function, this feature is even available for Kodachrome or B/W slides. Try SilverFast 8 for free. If you already have an older version of SilverFast, we offer you an upgrade to SilverFast 8 at a reduced price or even without cost. Therefore, please visit our homepage. Looks impressive! Will the multitasking feature of Silverfast 8 find its way (or has it found its way) into the companion product HDR Studio? Is there no multi sample scanning function in Silverfast 8? Jan, from what I’ve seen so far, Multi-Exposure is “too automatic”. I does things to your colors you don’t want it to do. I wish it had sub-options, like [yes/no] maximize my dynamic range, [yes/no] eliminate noise. And when will Silverfast 8 be available in CD format? SilverFast 8 is available for the Epson Perfection 3200 as well as it is for Plustek’s OpticFilm 7600i. 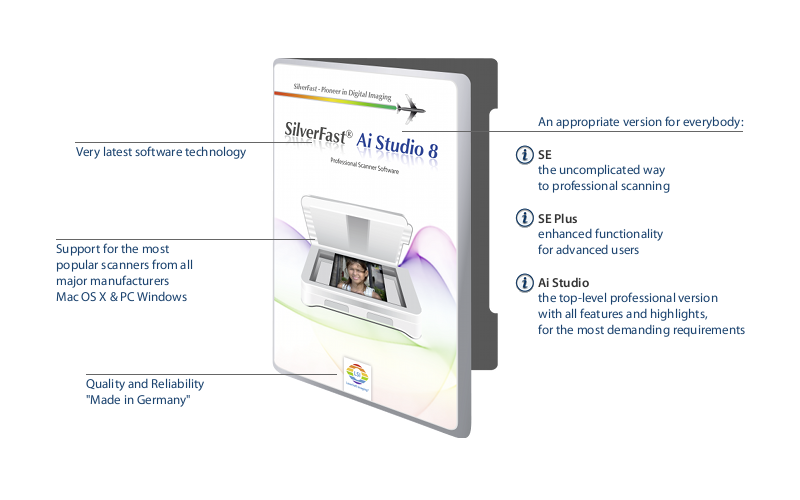 SIlverFast 8 does not fit on a CD, but we have released a DVD version earlier this month.